BRYAN EATON/Staff photo. 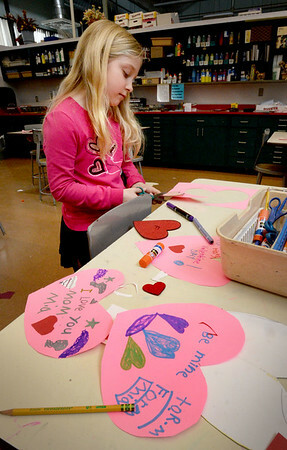 Mia DesRosiers, 7, cuts out Valentine shapes in Karen Greenfield's art class at the Cashman School in Amesbury on Tuesday. The students were making assorted cards to take home to family members.